It’s all about loss. Don’t kid yourself. Even a simple game of catch is hinged on the moment the ball leaves the glove, the moment it returns. Don’t even try to think this story or any other story is about something else. 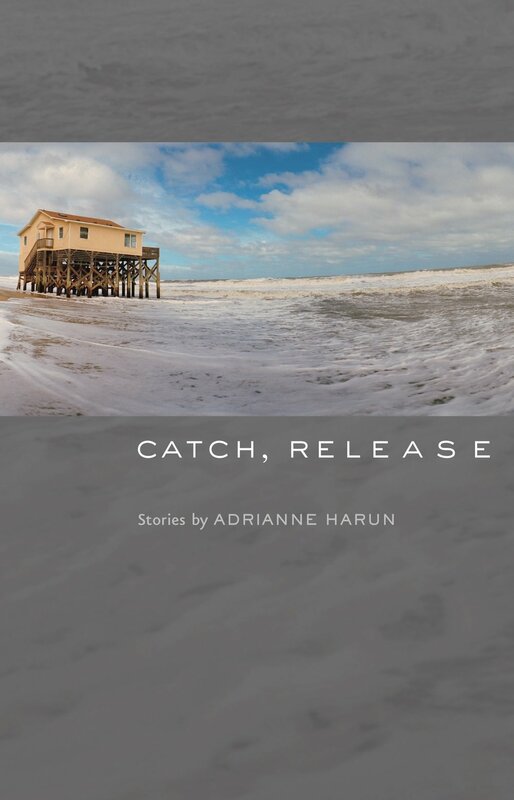 In Catch, Release, Adrianne Harun’s second story collection, loss is the driver. But it’s less the usual somber shadow-figure of grieving than an erratically interesting cousin, unmoored, even exhilarated, by the sudden flight into emptiness, the freedom of being neither here nor there. In this suspended state, anything might happen―and it does. Harun’s most realistic stories are suffused with mystery, while her more fantastic tales reveal startling truths within the commonplace. In diverse settings that include, among other places, a British Columbian island, a haunted Midwestern farmhouse, a London townhome, and a dementia care facility overpopulated with dangerously idle guardian angels, characters reconfigure whole worlds as they navigate states defined by absence. In "The Farmhouse Wife," a young couple, struggling financially, takes up residence in a near-abandoned farmhouse, only to be joined by an inconvenient roommate, a woman whose own bereft state proves perilously seductive. A kleptomaniac father gets caught in one of his petty thefts in "Pearl Diving," propelling his two sons out of one life into another, perhaps more appropriate, one. In "Madame Ida," a family of little girls steadily invades a woman’s life as she puzzles out the mysteries of a missing sheriff-turned-cult-leader and the absence of her own son. And in the title story, two teenagers face off against the hurtful lies of an ancient con woman who is mining a widow’s grief for her own ends. "Adrianne Harun’s short stories are riveting. Vividly imagined, like fever dreams, haunting and original and elusive. It’s as if each story contains—or generates—a mystery that will linger long in the reader’s mind." "Catch, Release is brilliant. Masterly brilliant. Tour de force brilliant—the crystalline prose, the characters who dive off the page and splash down into the reader's heart, the islands and water and sunlight and sand and trees that are as astonishingly real as last night's dreamscape, the moral complexities and contradictions of human beings in contest with the devil, the pitch-perfect sounds of desperation and joy and terror and triumph and unspeakable loss, the smells of fish and salt and sand and musty old farmhouses. As a whole—and these wonderful stories demand to be read as a whole—Catch, Release will break your heart and then mend it and then break it again. This book will endure." "Told in poised, often shimmering prose, these tales distress and confound... The larger, tragic landscape Harun sketches is acutely destabilizing, wonderfully inscrutable and, at moments, ravenously absurd." "Animated by a fierce sense of longing, Harun's pieces expertly depict how individuals grapple with lost love, death, and uncertain futures. Each story exists within a carefully realized world―lit with detail like brilliant, bizarre snow globes―and, fueled by haunting prose, will remain gleaming in readers' minds. Masterful and varied." "The mastery in these stories lies in their understanding of the spookiness and sneakiness of the human heart. How extraordinary this book is, how full of superb writing, how unpredictable on every page." "Adrianne Harun is a flat-out expert in her craft but what sets her apart is her patient and fearless immersion in the lives of her characters. She never evades, never pulls up short. She is an artist of the highest rank, and this is a haunting, devastating collection." "In this masterful and singular collection, the familiar—always uncanny—is fraught with risks: the risks of parenting, of adolescence, of infancy and senescence; of feeling too much or too little. Adrianne Harun’s vivid evocation of a faltering world reveals a black hole lurking at the heart of everything from the dining room to the family car."